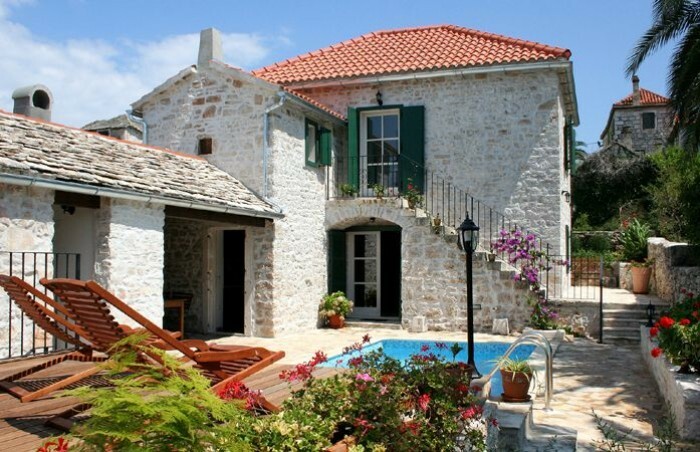 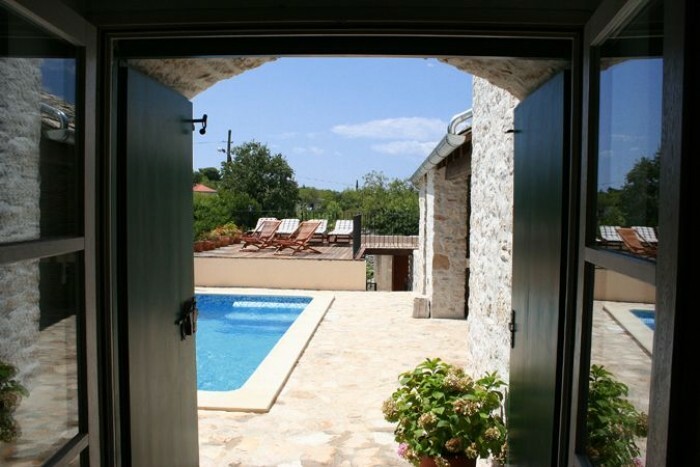 Villa Bonassini are situated on the Island of Brac and it is a traditional Dalmatian stone villa from the 19th century which been renovated into a comfortable villa. 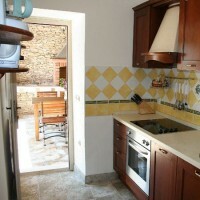 This villa can accommodate 6 to 7 person in 3 bedrooms,equipped to provide maximum comfort and relaxation on your holiday. 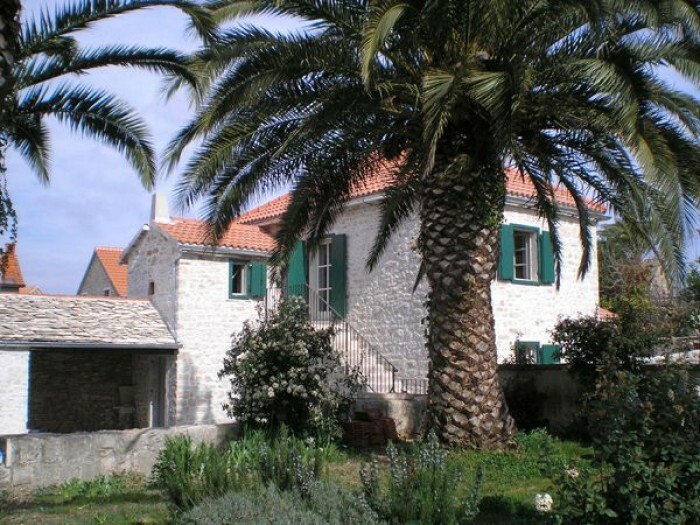 Before the construction works on the villa began, we consulted the Split conservation office to preserve as much as possible of the existing Dalmatian architectural tradition and its original charm, but at the same time to meet the modern living standards. 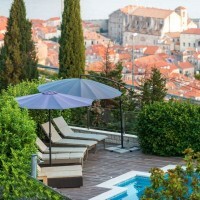 Villa Bonassini has just over 130 m2 of the interior, a forecourt with a swimming pool, a roofed sitting area, a garden and a covered parking place. 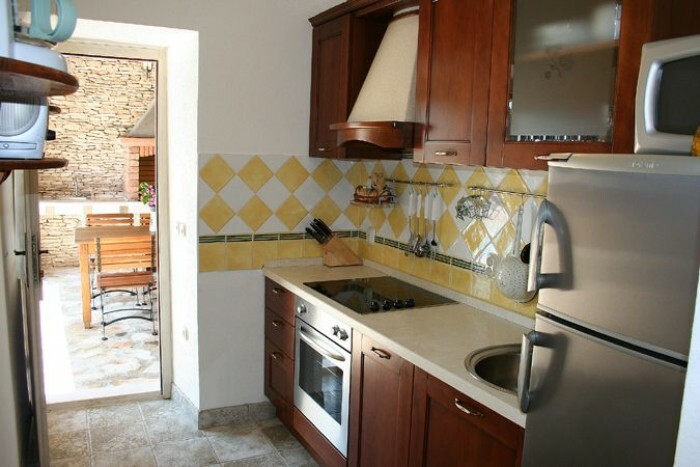 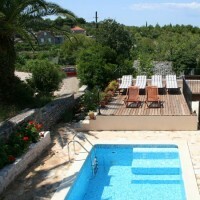 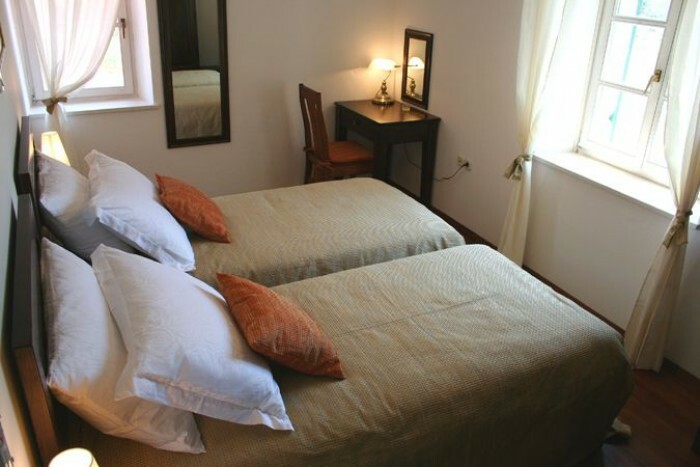 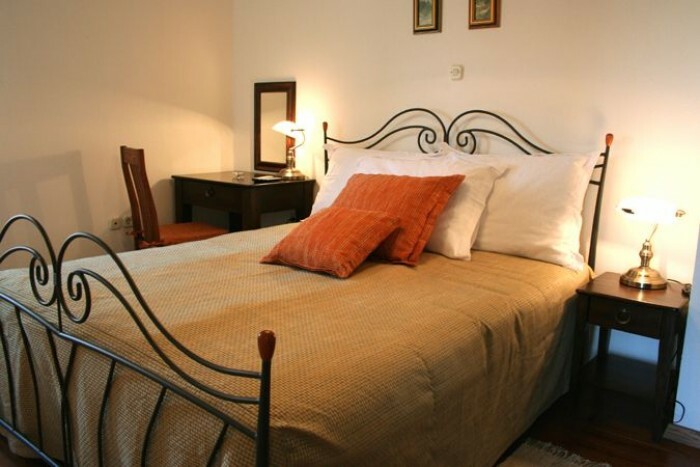 On the first floor there are 2 bedrooms and bathroom, and also the exit to the „sular"with a view of the sea and the other shore of the Brač sea channel. 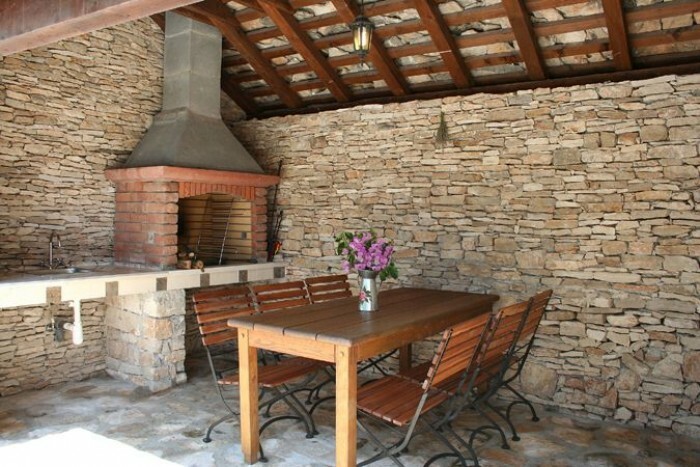 The „sular"is a local name for the top of a staircase, which was traditionally situated before the main entrance to the living area on the first floor. 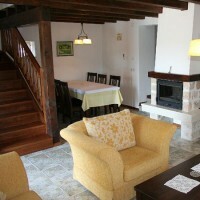 Now the wooden stairs connect the first floor bedrooms with the living room on the ground floor, where it used to be a room for keeping olive oil, vine, tools etc. 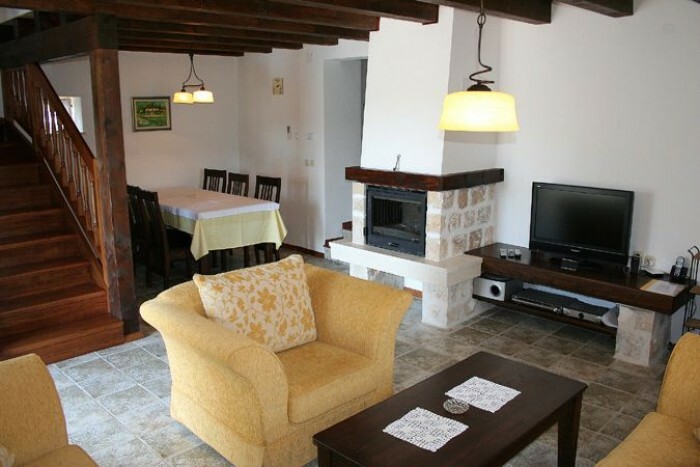 On the ground floor, besides the living room with TV and a fireplace, there is also a dining room, fully equipped kitchen, master bedroom with a big bathroom, additionaltoilet and one more bathroom. 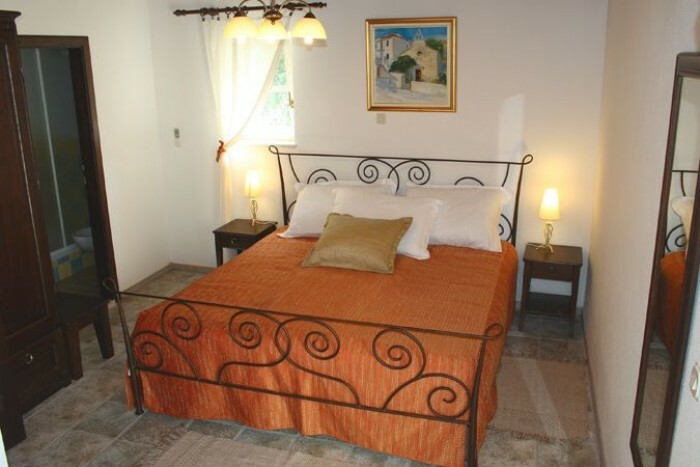 There is an exit from the master bedroom to the small romantic back garden with a terrace. 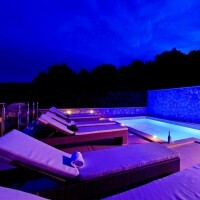 The swimming pool with a hydro massage bench and a garden with an old olive tree are in the forecourt. 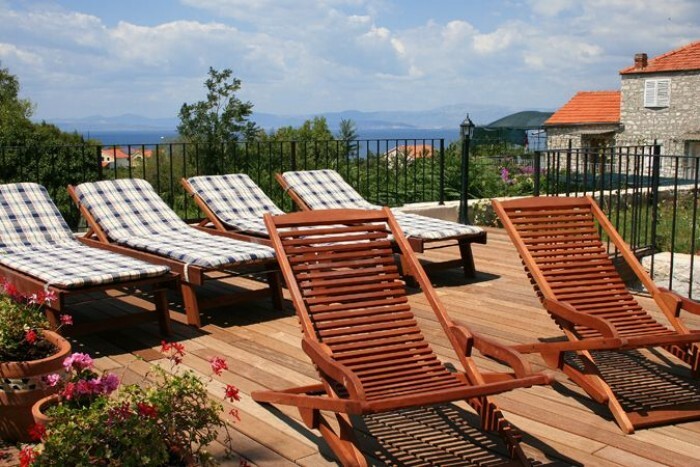 A wooden sun deck is by the pool, and underneath, on the street level, is the parking place. 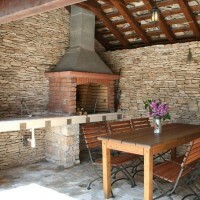 A particularly attractive place is the outside dining area with a grill, covered with the authentic stone roof which is traditional in old Dalmatian rural architecture. 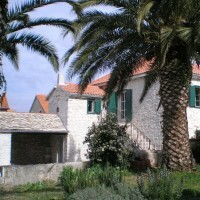 Villa Bonassini is situated in the old centre of the village Mirca, 3km west from Supetar, which is the port for ferries connecting the island Brac with Split. 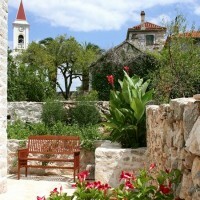 This part of Mirca still has the authentic soul of an old island village. 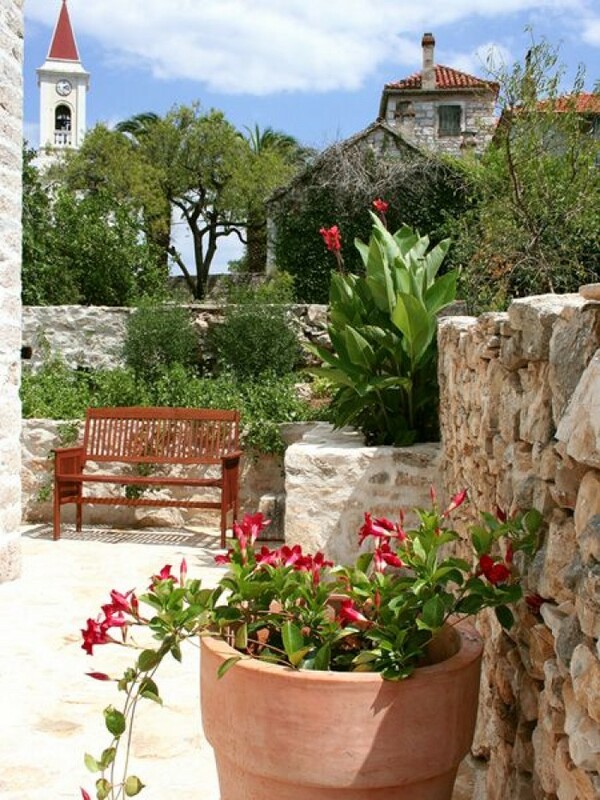 It still has stone houses, narrow streets, and the time you spend here passes more slowly and peacefully. 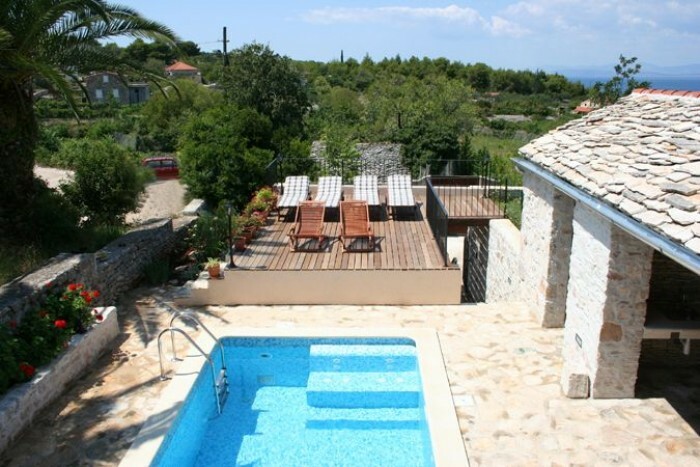 The village is surrounded by old olive trees, orchards and abandoned fields with interesting hiking/biking routs.The villa is handily placed for exploring the island of Brac and its charming seaside towns, hidden beaches and a beautiful unspoiled nature. 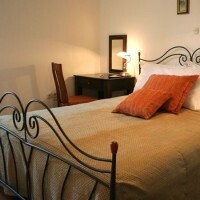 Security refundable deposit of € 200 is requsted on arrival and will be returned after departure inspection.